An easy way to think about sacramentals is to remember all the “holy things” that are part of our lives as Catholics, and connect how they make us ready to receive the graces of the sacraments. An easy example is the holy water at the entrance of every Catholic church. It’s automatic to dip our fingers in as we enter, but if you give it any thought at all, you might recall your baptism where you received the amazing gift of a part in the life of Jesus. The water might help you recall that your baptism made you part of this family you’re about to worship with. You might think about the awesomeness of the Trinity as you’re making the sign of the cross. You might think about the beautiful name of Jesus. At the very least it might be a mental transition from the outside world into this time of worship. Any of those things will make you more ready to receive the graces waiting for you in the Eucharist and it all begins with the simple act of dipping a finger in water. In this lesson, you’ll learn that there is more to sacramentals than “holy things” – it also includes actions like genuflecting, blessings like praying before you eat, sacred times like Lent, sacred places like your church or a shrine, and words like the words of a prayer or the words of Scripture. The basic points of this lesson are (1) to become more aware of the existence of all these things and (2) to recognize that God gives them to us because of His great love. He wants us to grow closer to Him and literally surrounds us with little paths to make that happen. For your youngest kids, we definitely recommend starting with the Sacramental Scurry scavenger hunt. It’s active and has an immediate relevance since these things are actually in your home. Even if you don’t think you have many “Catholic” things around, you may have a Bible, a wedding ring, a nativity set, or possibly a holy card earned at a Family Formation class. These things are a great starter list and you should be able to add blessed palms soon as you go to Mass on March 25. Older kids should also be part of the scavenger hunt, but you may want to consider giving them the list entitled Sacramentals in Our Home and have them lead this activity by gathering everything together. 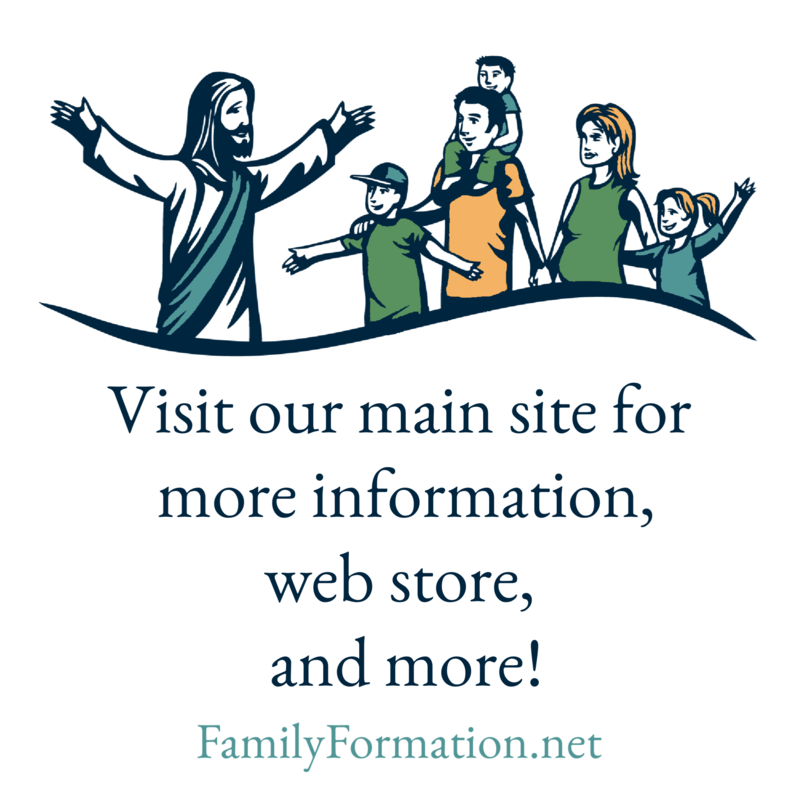 Even teens who are outside of Family Formation age can benefit by a greater awareness of the sacramentals in your home, so get the whole family involved. You’ll also want to go through the entire lesson with the older kids because it’s there that you’ll learn about things beyond your current experience – sacramentals you hadn’t thought about and new paths to deepen your faith in God.